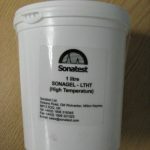 Sonagel LTHT High Temperature Couplant. High temperature couplant (up to 300°C / 572°F). 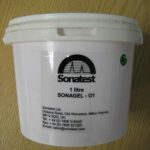 Supplied in 1 litre container. Smaller containers are available; please contact for availability. 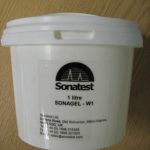 Sonatest Sonagel W1 Ultrasonic Couplant. Water-based couplant supplied in 1 litre container. Oil-based couplant supplied in a 1 litre container.